Today really a nice review by italian newspaper “La Gazzetta del Mezzogiorno” talking about my next concert in Theater “U. 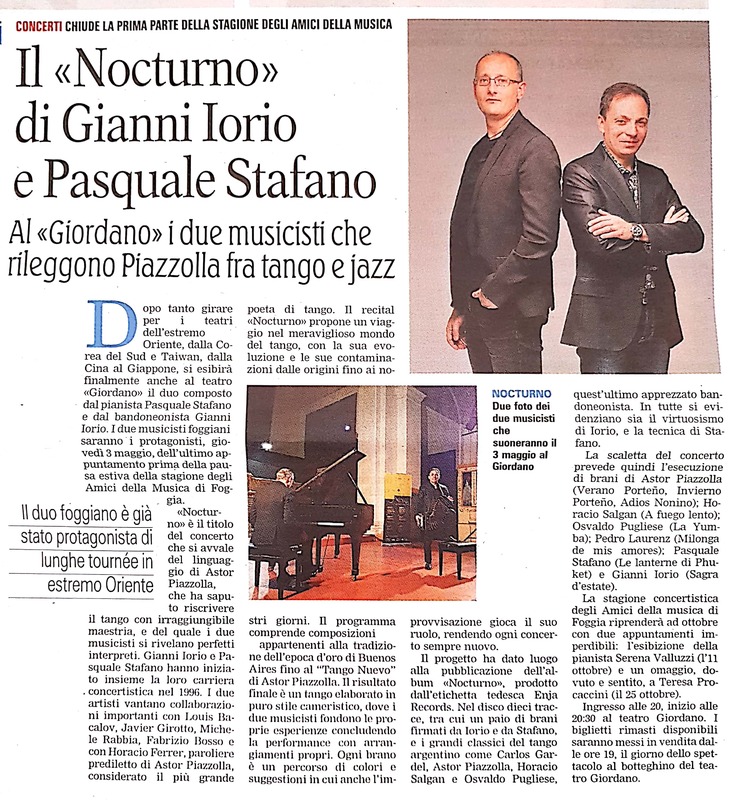 Giordano” in Foggia on 3rd May. Can’t wait to play there!